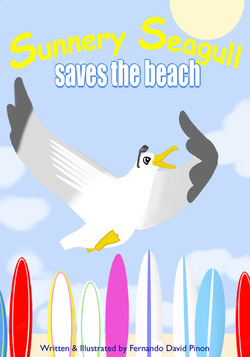 Fly with Sunnery Seagull on this epic adventure where he learns the importance of keeping the beach clean! Fully illustrated. 40 pages. Written & illustrated by Fernando D. Pinon. 2016.